We hopped on a plane to Chicago and made our way to the quaint town of Wheaton, Illinois to spend a day with Rachel & Josh. Elisebeth met Rachel through Concordia University Wisconsin and reconnected shortly after Rachel & Josh got engaged in December! Spending our day with this couple gave reminded us of the passion we love to be apart of. 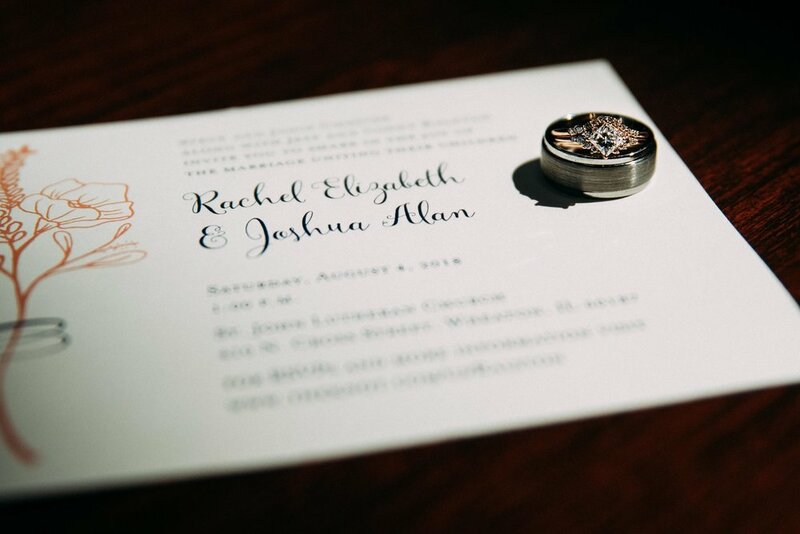 Thank you, Rachel & Josh, for inviting us to capture your beyond beautiful day! 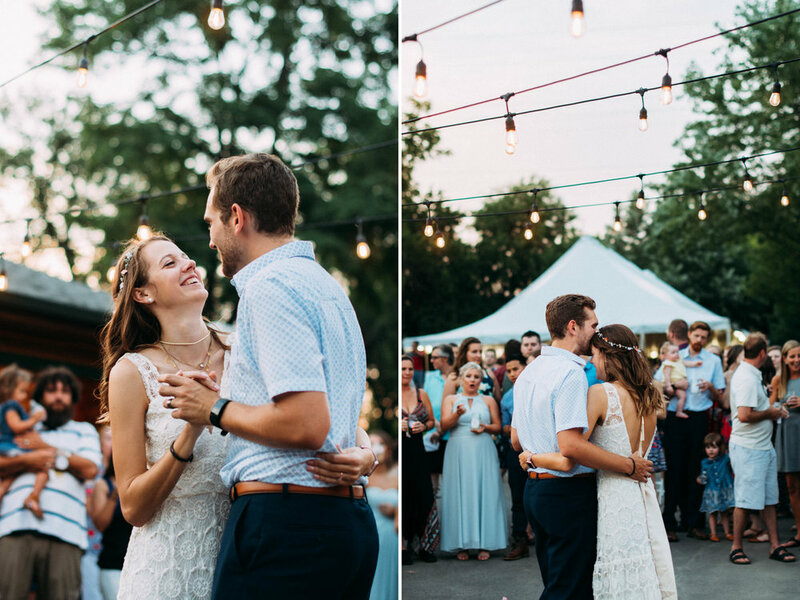 Rachel & Josh's love story cannot be told any better than through these images. Their priorities in life are so clearly a bold dedication to their faith, friends, and families. The day started at Studio 209 in Wheaton, where the ladies prepped for the day ahead! Upon arrival at St. John Lutheran Church, preparations continued as the ladies slipped into their gowns and as the guys tied their ties. It was lovely watching all of the ladies partake in helping Rachel with the finishing touches of getting ready. 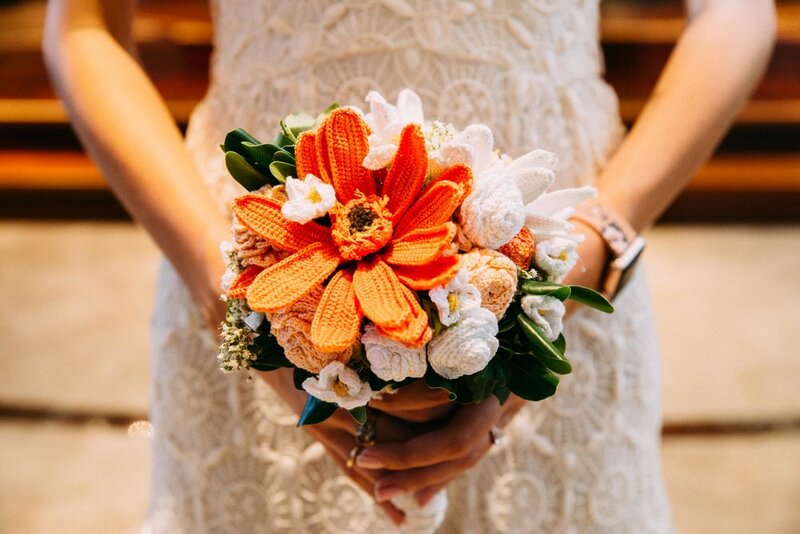 One simply beautiful detail to their day was how Rachel's sister, Amy crocheted her "shoes" and her bouquet! Rachel & Josh had a vision for their day. Their vision came to life in the little details that they wore and that they included around the church! No moment is sweeter than this: a father and daughter seeing each other for the first time on her wedding day. 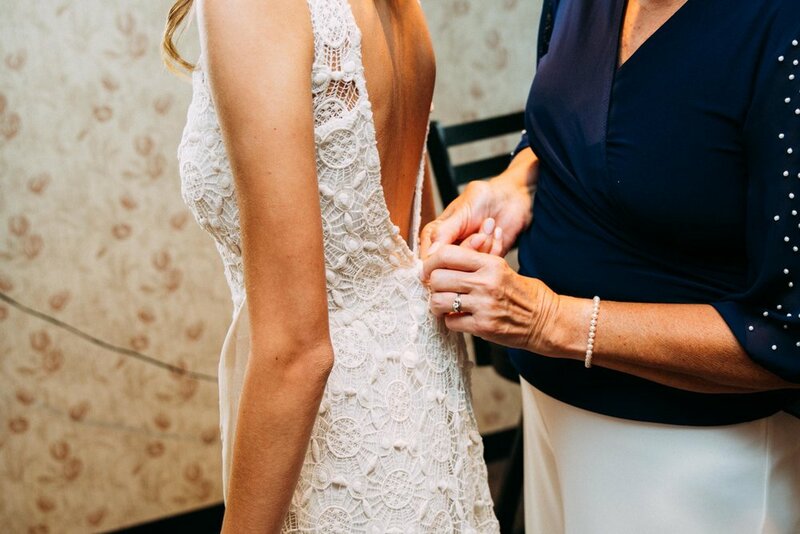 We're so glad that more brides are including this as apart of their wedding day's! Rachel & Josh's first look showed their pure excitement for not only their wedding, but for their marriage and the years ahead. Following their first look (and a quick stop in the air conditioning), we headed to Adams Park for wedding party portraits! St. John Lutheran Church was a beautiful church to get married in! Rachel has been a member at St. John for her whole life and Josh was the vicar this past year. They met because of Josh's placement at St. John. While attending Concordia University Wisconsin, Rachel was a handler for Zoey! Zoey is the CUW Campus Lutheran Church Charities Comfort Dog. 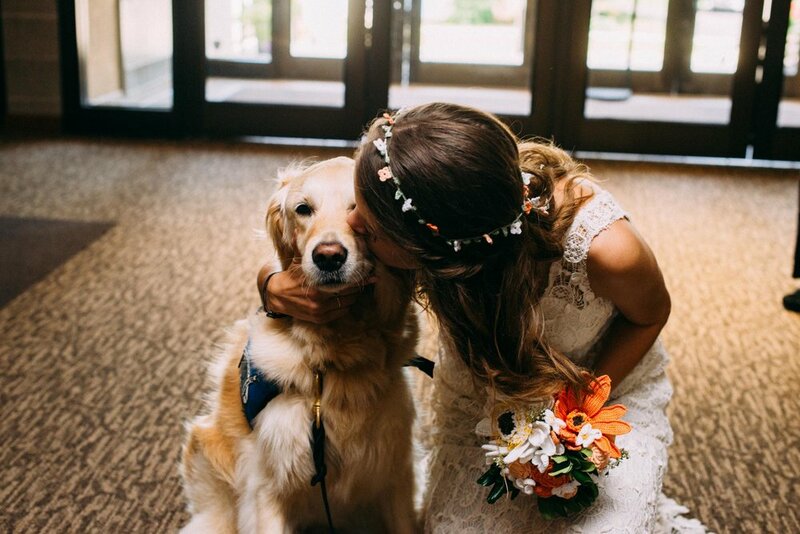 It was so wonderful that Zoey got to witness Rachel & Josh's wedding too! 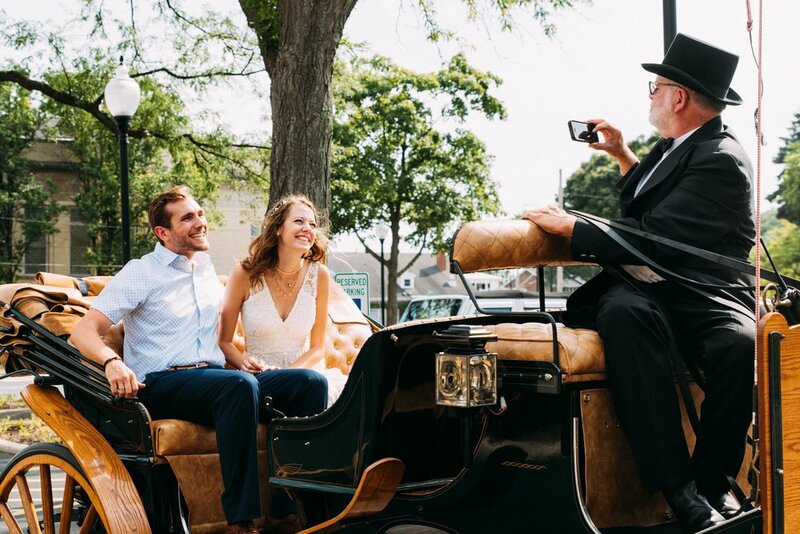 Rachel & Josh were escorted from St. John to their reception by none other than horse-drawn carriage. Talk about dreamy! The wedding reception was held in the backyard of Rachel's parents' home! 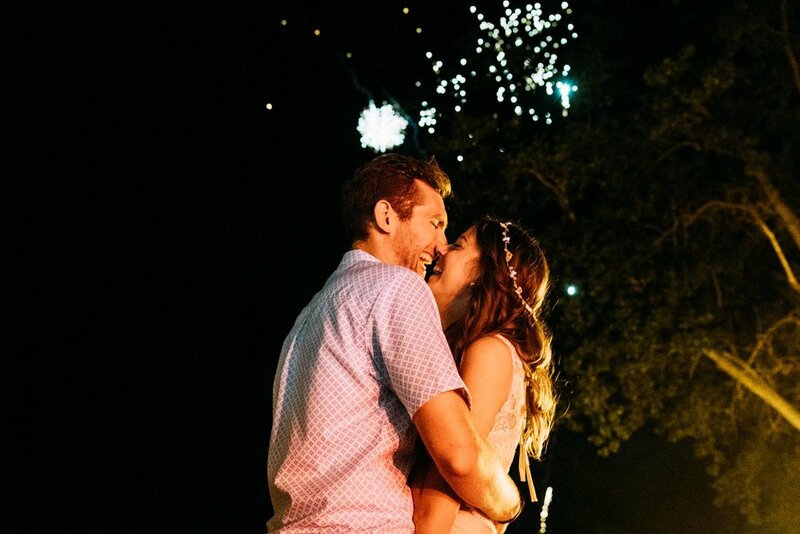 Now when you're thinking backyard wedding, you won't even be able to imagine the beauty that her family pulled together! From stunning centerpieces to string lights over the dance floor, the reception was perfect! Arriving on their chariot, Rachel & Josh made a stunning entrance to their reception! They were greeted by friends, family, and some great dance music. Y'all already know we're big fans of dessert. Their dessert table was filled with all sorts of treats! 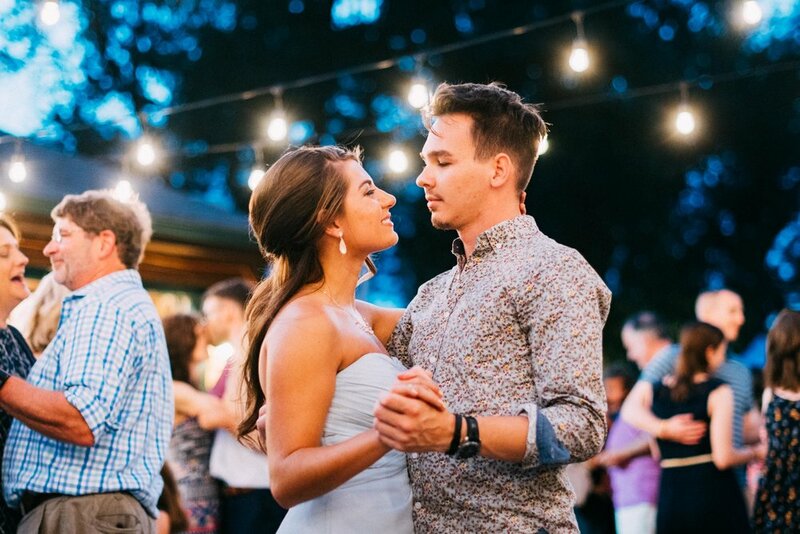 First dances are some of our favorite parts of a wedding day! We loved the uniqueness of Rachel & Josh's first dance. 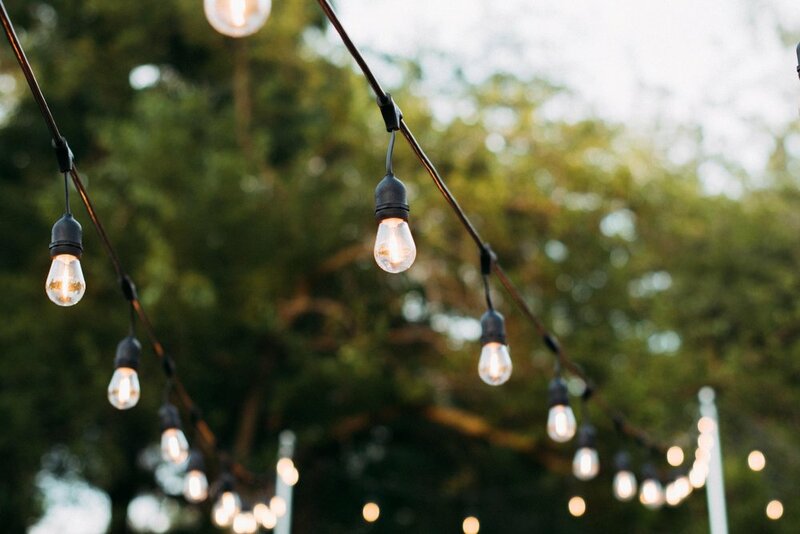 Out in the open, during the perfect lighting of the evening, under string lights, surrounded by the ones you love...name a better moment than that. We stress with our couples to leave time in their timelines for portraits. 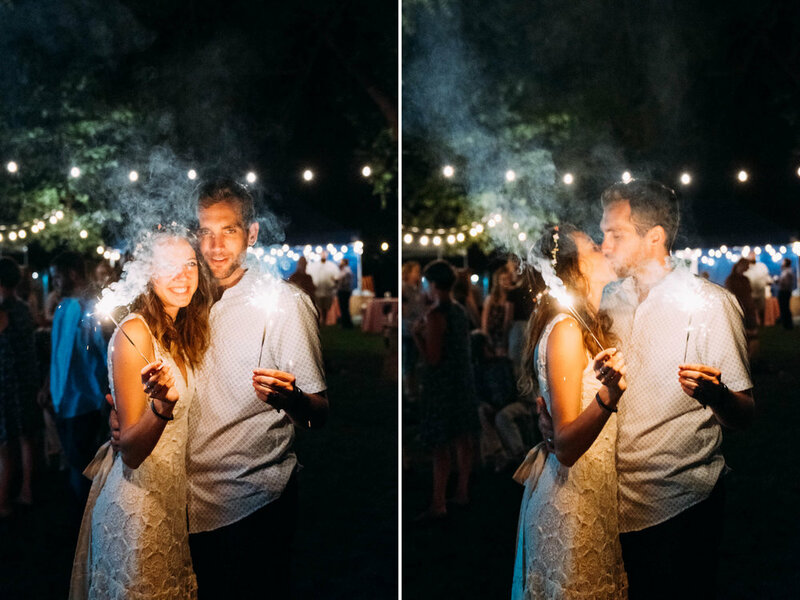 Rachel & Josh set aside a few different moments for their photos, this being the final time. The sun had just set and we snuck aside for some dreamy photos. It was so fun to watch the dancing go throughout the evening!